Black Prophet is an award-winning Ghanaian reggae superstar, active since 1989. He released his debut solo album, "No Pain No Gain" in 1998, but it was not until 2003's "Legal Stranger" that he came to worldwide recognition. 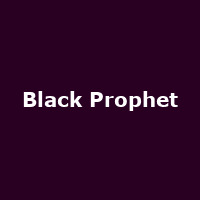 In 2007, Black Prophet's "Doubting Me" was named best reggae song of the year at the Ghana National Music Awards.